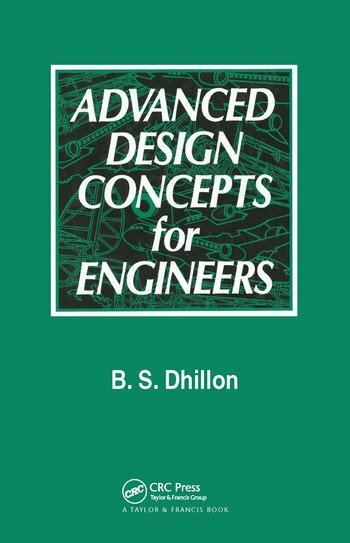 This book provides the design engineer with concise information on the most important advanced methods that have emerged in recent years for the design of structures, products and components. While these methods have been discussed in the professional literature, this is the first full presentation of their key principles and features in a single convenient volume. Both veteran and beginning design engineers will find new information and ideas in this book for improving the design engineering process in terms of quality, reliability, cost control and timeliness. Each advanced design concept is examined thoroughly, but in a concise way that presents the essentials clearly and quickly. The author is a leading engineering educator whose many books on design engineering methods, engineering management and quality control have been published in different languages throughout the world. This recent book is available for prompt delivery. To receive your copy quickly, please order now. An order form follows the complete table of contents on the reverse.